We’re now into the 2nd month of the new year, and it’s around now that many find that their resolutions are a little harder to accomplish than originally imagined. If one of your resolutions this year was to get more organized within your Stockton home, and you don’t think Marie Kondo will stop by your home anytime soon……. here are a few tips to get started. You may be tempted to work excessively hard to reign in the chaos and then assume that you have completed the organization process long-term. This can be the biggest hurdle with organizing. Maintenance tasks will be key. Truly organized individuals devote attention to the task throughout the year. It takes just a few minutes every day. They clean as they go, refine solutions for their lifestyle, and set aside time to redo problem areas. All are important aspects of the overall organizational process. Remember, regular adjustments of your system will translate to less huge clean-up projects down the road. 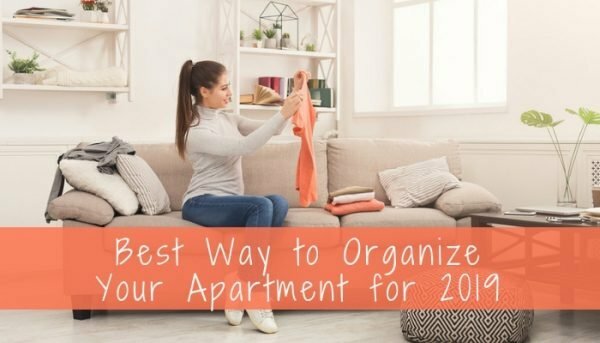 Seeking a more organized home is a great goal for 2019, and one that will keep it enjoyable throughout the year. You may not have the floor-to-ceiling built-in shelving on every organization guru’s Instagram, but you can certainly find easy to maintain solutions for your place. Creating a haven out of chaos can be an overwhelming task, but taking it in small steps and remembering the basics can go a long way. It is your home and sanctuary, where you can relax and enjoy life to it’s fullest.